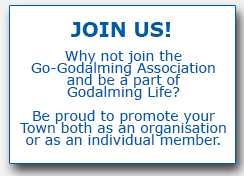 Has lived in Godalming for 44 years having previously attended Charterhouse School. Simon is married to Sandy, has three grown up children and seven grandchildren. He worked in the Oil & Petrochemical industry (since 1965) & has recently retired to concentrate on improving his golf! He is a Rotarian, a past district Governor of Rotary International as well as a double past president of his club – Godalming Woolsack – he was awarded a Paul Harris Fellowship in 2009. Simon is also a trustee of the Warehouse Christian Trust (The Cellar and Skillway) in Godalming: a past chairman of Holloway Hill Sports Association and current chairman of Sport Godalming and Godalming in Bloom – his sporting pursuits include Golf and is a member of both Milford and West Surrey Golf Club. He is also a member of the MCC.